Hello and welcome to the 61st Naval Infantry Regiment! The 61st Naval Infantry Regiment is an ArmA II military simulation group that uses the Advanced Combat Environment and the Advanced Combat Radio Environment game modifications to simulate the combat forces of the real life Russian Military. 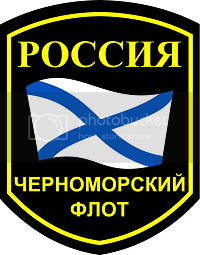 We represent ourselves as Russian Naval Infantry (Marines) of the Northern Fleet garrisoned near the port city of Murmansk, Russia. We operate our own Squad XML for ArmA II, our own server running a customized Russian Insurgency on mulitiple maps, and our own Teamspeak 3 server. We are a group of mature and realistic players operating one of the few, if any OPFOR military simulation units in the ArmA community. If you want a new feel to your realism career then the 61st Naval Infantry Regiment is for you. Since the 61st NIR represents the real-life Russian Naval Infantry, we also use the russian navy ranking structure as they do in reality. Since this is a rank structure most people are not familiar with, the staff of the unit has already created a document for you to study the ranks of the Russian Naval Forces, dont worry! We are always recruiting! - Our own Teamspeak 3 server. - ArmA II ACE/ACRE server running a fully customized Russian insurgency. - Squad XML for the in-game unit logo. Appears on uniforms & vehicles. - An up-to-date steam group that we run the daily functions of the unit from.